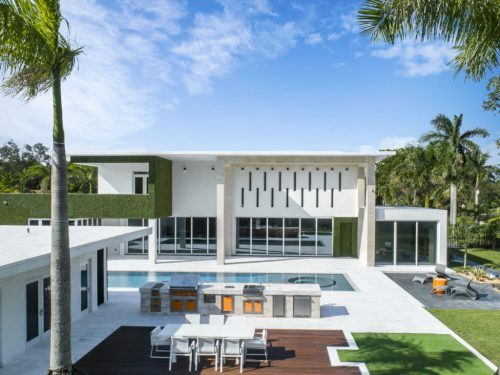 This mansion in Miami is over 15,000 square feet and looks like something straight out of a movie. It’s built to withstand almost anything like bullets, fires, and up to a category 5 hurricane – an important feature for being in Florida. Besides the indestructibility of this home, it has exquisite features inside like materials imported from Italy. The kitchen is worth $200,000 and the walk-in closet $80,000. To construct all of this took 36 months. After the renovations, the owners decided to sell the house to one lucky buyer rather than keep it since it would be so easy to sell. Now, THIS is the future of homes.